Not Sure how to write a synopsis. Getting the research done but I am struggleing with writng the 1000 word synopsis as I have never written one befor and I am not sure where to start. 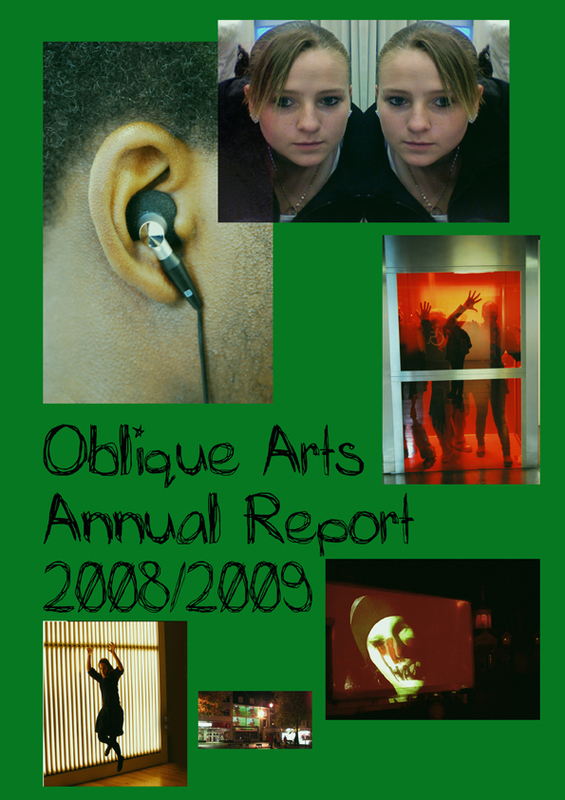 Spent the last couple of days putting together the annual report foe Oblique Arts. Spoke to Heather Barnett today who is an artist based in London http://www.heatherbarnett.co.uk/traceelements.htm and works mainly in Science and Art collaborations. Her work is often funded by medical and science research bodies and she often works in collaboration with scientists on a spacific project. E mailed Blast Theory last week about interviewing one of the artists and they told me they would get back to me, so far no reply but I am still hoping as I would be very interested to find out how they fund their work and how funding impacts on the way they work. A lot of what they do seems to be connected to research and I want to know if this was their intention or have they been drawn down this path because of the funding and their approuch to research projects. Over the past week or so I have been reading all the interviews with artists and curators and arts organisations that I could get my hands on and have come to the conclusion that it is best to have a clear idea about the person you are interviewing as the most interesting interviews I have read are those were the participants seem to know each other well. I have therefore dug deep to try and discover as much as possible about the people I am going to interview. Today I am going to be interviewing Tony Beckwith who is a senior consultant at Haring Woods Associates. HWA are a London based creative and strategic consultancy with an international reach, established in 1996. They use arts and culture to effect public, civic and corporate change and forge more democratic and productive communities, both public and private. They work with public / private sector partnerships to develop and deliver innovative, creative solutions to public realm problems and they have established a solid track record with communities by incorporating artists and art into civic life. I have worked on and off with Tony for the past 20 years so this interview should be a piece of cake. Tony Beckwith’s role in the company is to devise new methods of public engagement to empower decision makers and the community to progress democratic society. 1. How did the company come about? 2. What is your role in the company? 3. What do HWA do? 4. What role do artists play in the company? 5. Why it is that you choose to work with artists rather than researchers. 6. How do you fund their work? 7. Does funding criteria impact on the way you work? 8. Do you ever fail in hitting the funding targets and does this impact on what funding you apply for. 9. Do you perceive any difference between private and public funding? 10. What produces the strongest work? 11. Do you consider that the work produced is art? 12. How do you come to that conclusion? 13. Does the work that you commission have any real impact on the communities you work with? 15. And finally how do you go about selecting artists for the work you carry out.